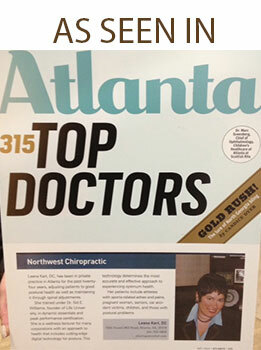 We have had so many incredible success stories at the Atlanta NorthWest Chiropractic. Every month people are adjusted in our office and lives are being changed for the better. The following are comments from a small selection of our valuable patients. Cassy stated that prior to chiropractic care she was suffering with low back and neck pain, migraines, and very bad allergies. Before coming to Northwest Chiropractic, she had been to three to four different medical doctors for her conditions. The medicine that she was prescribed were: Allegra, Zyrtec, Flonase, Nasonex, and Amitrex. Her life was severely affected; she would have to spend several days a month in bed for headaches (more during allergy season). She immediately felt the results of chiropractic after the first adjustment! 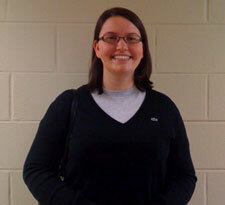 Cassy stated, I think chiropractic care has dramatically improved my overall health. I sleep better and rarely have back or neck pain. My migraines are gone. 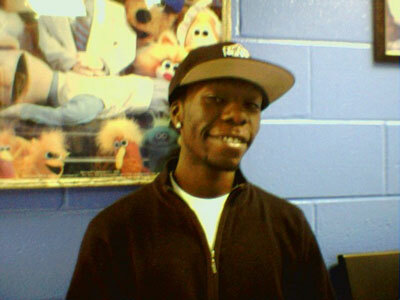 My allergies have not bothered me for the first time since I moved to Atlanta over 6 years ago. Stacey was taking Cozaar medicine for hypertension. She was also diagnosed with high blood pressure in 2005, though not overweight. She saw results from chiropractic care within three adjustments. Stacey stated that not only did chiropractic care heal and eliminated her back pain, but subsequently her blood pressure slowly came back to normal. Over a period of a year of regular neck adjustments, she was able to wean off blood pressure medication. She is now off blood pressure medication and maintains normal blood pressure for the past six months. Stacey said, “I am a registered nurse and carefully monitored my blood pressure while decreasing the dosage gradually”. I have no doubt there is a direct connection between the chiropractic neck adjustments and my normal blood pressure” without any drugs. 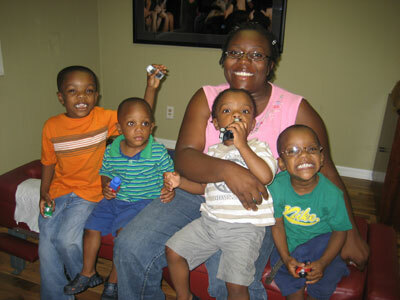 My 4 children were preemies on 9 different medications, underweight, and very picky with eating. They could not eat properly and took a lot of medicines and supplements. All my children had these problems since birth. They went to 6-8 different medical doctors. I was paying between $300 to $400 a month for medicines and doctors co pays. We were seeing an average of 2 doctors per week. Since June 2009, my children and I have been seeing Dr. Kart. I now save $300 to $400 dollars a month. My name is Nicole. From the age of twelve (I’m thirty-two now) I suffered with severe migraine, allergy and sinus problems. For as long as I can remember I was always taking some form of prescription medications (Imitrex, Paxil, Allegra, Flonase, Zantex, Celebrex and the list goes on and on). My condition was always affecting my life. Simple tasks like going to school or work, driving and even thinking clearly became very difficult. I could not go outside during allergy season without getting sick. 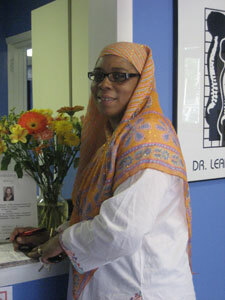 I became a patient of Dr. Leana in March 2002. I had heard about the benefits of chiropractic care from friends and wanted to see 1st hand if it could benefit me. After my 2nd week of care I felt a lot better. By my 6th week of treatment I noticed my dependency on medication was decreasing. After my 3rd month of chiropractic I had stopped taking the prescription drugs all together and have not taken any type of medication since. At the age of eleven, I was diagnosed with scoliosis and I had to wear a back brace for seven years. I went to spine specialists, bracing specialists, and rehab clinics but they all were of no help. Due to the back brace I was very limited; I couldn’t bend over or lean forward. I could never do many of the physical activities because my risk of falling and injuring myself was high. 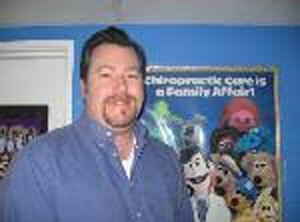 At the age of nineteen, I started Chiropractic care and immediately I saw results. My back was in great shape and I didn’t need the back brace any longer. Chiropractic helps everyone not only when they are hurting or injured but also when they need to keep their backs in good shape. Due to my scoliosis, I was told it was going to be hard to carry a baby without severe spinal problems. Thanks to Chiropractic throughout my pregnancy, I have been feeling great. My baby turned exactly at 34 weeks head down in birthing position, thanks to getting weekly Chiropractic adjustments. “Dr. Kart’s adjustment table is equipped to drop down to accommodate all pregnant patients.” People take better care maintenance of their car rather than their backs or general health. I was involved in a car accident and for four to six weeks I walked around with terrible neck, shoulder, and back pain. Due to my injuries I was unable to work. I was on all kinds of medications: Flexeril, Darvocet, Hydrocodone and Motrin. The side effects of all the medicines scared me, I would experience drowsiness, fatigue dizziness, blurred vision, nausea, headaches, mental/mood change, heartburn and vomiting just from taking the medications that were supposed to help me feel better. I wanted to feel better naturally not chemically so I came to Northwest Chiropractic. Within weeks I noticed a tremendous change in the way I felt. Now I feel myself again without any medicines thanks to my Chiropractic adjustments!! Earlier this year I noticed that I would get frequent headaches, have numbness, and sharp pains in my mid and lower back throughout the entire day. I am a choreographer and these problems affected the way that I worked. I walked around with these problems for three months before I came to Dr. Kart’s office. I later found out that all of my problems came from not have my spine checked regularly. In one week I noticed results from the adjustments; I could move without pain, the numbness was gone and my headaches came less frequently. I would highly recommend Chiropractic to anyone. Not only did the symptoms go away but I feel like my health has dramatically improved! Joeleen has been getting her spine checked regularly for the past 10 years. 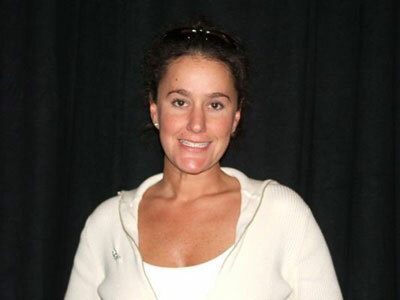 Joeleen began coming to our office with an athletic injury in her low back and then as an expectant mother. 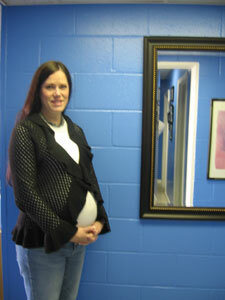 During Joeleen’s first pregnancy she received chiropractic adjustments weekly. Her delivery of her first child was “easy” thanks to chiropractic. 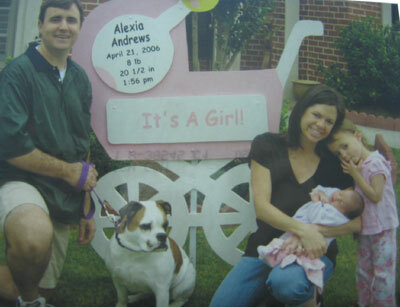 She also received adjustments during her second pregnancy. Baby Ryan pictured above has received his first chiropractic adjustment after his one month birthday. Often infants need to be checked as soon as possible from the mere process of birth. Baby Ryan’s neck was twisted to one side from the delivery. Thanks to Chiropractic, Baby Ryan is doing great! 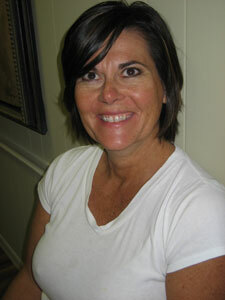 Her Testimonial: Stacy came to our clinic with low back pain; she was unable to walk and had to be carried in. By day three of chiropractic adjustments, Stacy was walking by herself. She started getting adjusted 3 to 4 times a week, and now comes in once every 3 weeks as a Wellness Patient to maintain her spinal health. *She is also a highly skilled Poker Player. She placed in the World Series of Poker and The World Poker Tour. 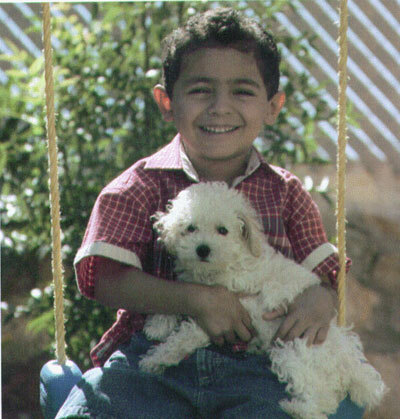 Joseph 5 years old had suffered from sinusitis for the past 3 years. His mother had taken him to many specialists. His mother was a patient and asked Dr. Kart if a chiropractic adjustment might aid her son in breathing better. Poor Joseph was not able to breath at night. Could you imagine a little child suffering needlessly each night. Once we explained how chiropractic works Joseph was coming to the office with his mom for care. Now a month later Joseph breaths better and is able to sleep at night! For two weeks prior to coming to Northwest Chiropractic I suffered from extreme pain and stiffness in my neck. Any movements I made with my head created sharp pain in my neck. After four visits with Dr. Kart my pain was completely gone and after eight visits I had full range of motion back in my neck. Chiropractic care allowed me to return to a normal lifestyle without pain and an increased sense of general health; it caused me to pay attention to what my body is telling me! Michelle came to our office when she was 1 1/2 month old. Michelle was born at 29 weeks. Being in an incubator for six weeks caused Michelle’s neck to lean to one side. Her doctor recommended to her parents that she be treated by an orthopedist and neurosurgeon to correct her condition with surgery. We started adjusting Michelle and within three months of chiropractic care her neck was straight and she has been growing, growing, growing! Chiropractic is for infants and children why not start their life off right.